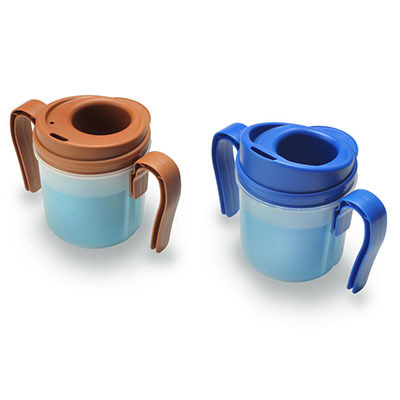 The Provale® Cup is a Limited Flow Cup for the delivery of thin liquids. Simply by tipping the Provale® Cup in a normal drinking motion, the cup delivers Small Sips™ (5cc, one teaspoon). By returning the Cup to its upright position, the chamber is refilled and ready to deliver another Small Swallow®. This repetitive, normal drinking motion encourages normal drinking habits and may allow for more patient independence. 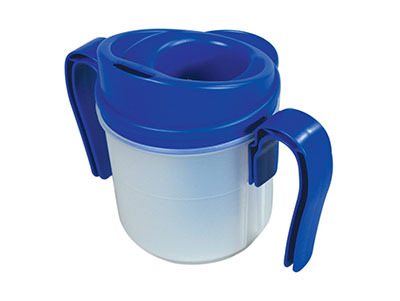 Dimensions: 3" x 5" x 4"
The Provale® Cup is a Limited Flow Cup for the delivery of thin liquids. Simply by tipping the Provale® Cup in a normal drinking motion, the cup delivers Small Sips™ (10cc two teaspoons). By returning the Cup to its upright position, the chamber is refilled and ready to deliver another Small Swallow®. This repetitive, normal drinking motion encourages normal drinking habits and may allow for more patient independence.